​Arsenal are understood to be considering making a summer swoop for Lyon playmaker Nabil Fekir, after quotes from his agent emerged suggesting he could be persuaded to leave France for a bigger club. The 24-year old has been in sparkling form during this season's Ligue 1 campaign, with ​The Sun reporting that his 21 goal return has attracted the interest of beleaguered ​Arsenal boss Arsene Wenger. Speculation that Fekir could leave the club this summer has arisen off the back of comments made by his agent Jean-Pierre Bernes, who suggested to the French press that his client is keen to play for a top 10 club in Europe at some stage. “Respecting first and foremost Lyon. At home, we do not leave like a savage or after a showdown," Bernes told Le Dauphine Libere. "If at the end of the season, and this is not the case today, there was a decision to be made, then we would sit down with President Aulas and we would find the right solution. “Nabil has the personal goal of being part of a top 10 European club. He has that potential. But a career is built little by little." 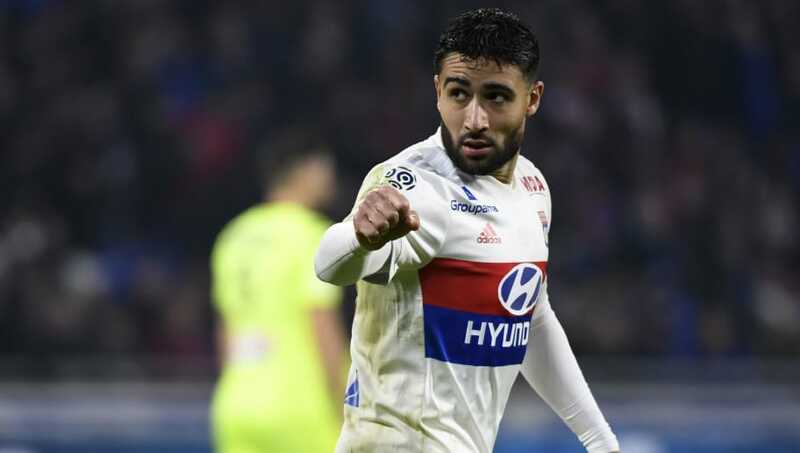 Gunners boss Wenger is understood to be weighing up a £45m move for Fekir, who has ​previously been linked with moves to Liverpool, Tottenham and Barcelona in the past. The north London side are understood to be keen on wrapping up a deal for Fekir before this summer's World Cup though, leaving him to concentrate on his potential involvement in Russia with the French national side.